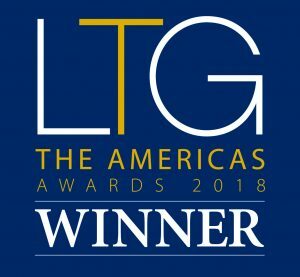 The Luxury Travel Guide Global Awards Honours Redwing Institute With 2018 “Walking Tour Operator of the Year”, Toronto, Ontario. Toronto, Canada: July 5, 2018 – Redwing Institute has been recognized for it’s exceptional Culture & Nature Discovery Walk for the third consecutive year by the Luxury Travel Guide Global Awards. “We are thrilled to receive this prestigious award for our flagship outdoor program” says Lisa Gervais, Founder of Redwing Institute. In it’s fourth season, Redwing Institute’s Culture & Nature Discovery Walk has been introducing organizations, schools, visitors to Canada as well as local Torontonians to the rich culture, history and natural beauty in the Humber River Valley, just outside the heart of the city. So much more than a typical walking tour, the Culture & Nature Discovery Walk incorporates food, music, medicinal plants, storytelling and more along the trail to provide individuals with a fully immersive experience. The program also benefits the local Indigenous community through a skills-development program funded by the organization. Redwing Institute will be featured in this year’s Luxury Travel Guide that is distributed to 550,000 registered subscribers and 10,000 luxury hotels. In addition to earning three Luxury Travel Guide Global Awards, the Culture & Nature Discovery Walk has been named a Canada TOP 40 Adventure Experience and is rated a 5-Star experience on TripAdvisor. Redwing Institute is an experiential learning organization, located in Toronto, Ontario, Canada. Our programs are based in nature and grounded in the science of high performance individuals, organizations and communities. Learn more at www.redwinginstitute.com. Connect with us on Facebook, Twitter, Instagram and LinkedIn.